There is not one thing morally wrong with gambling on sports. Let’s clear that up right now. Whoever might say there is something wrong with sports gambling or for that matter any kind of gambling, is simply casting judgment. If those people that cast judgment do not want to participate in your hobby, then no problem. Don’t let anyone dictate your happiness. Are there limits to everything? Of course there are limits. We have established that sports gambling is a hobby and that it’s a fun activity and there is nothing morally questionable about it. Does this mean that it’s ok to spend your last dollar on gambling? Of course that’s not ok. Whether you gamble for fun or you are a serious investor that makes a living betting on sports, the first and foremost rule that you should live by and with, is a budget. You may ask, how does one go about setting a gambling budget? It’s a great question and one that we will address but first thing is first. 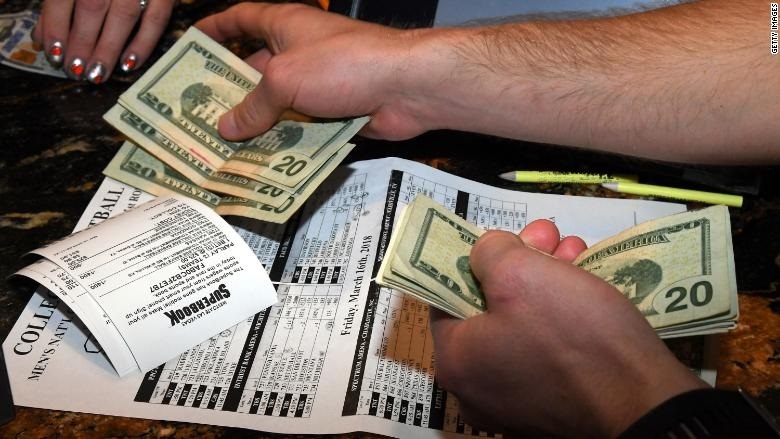 Let’s talk about how and why that sports gambling is a hobby and why you need not feel like you owe answers to anyone. You may have hobbies in life other than gambling and they may be any number of activities such as golf, fishing, hunting, skiing, collecting sports memorabilia, fixing up old cars, the list is endless and there are literally hundreds of hobbies and activities that one could involve themselves in. Fishing is a great hobby, it’s relaxing, it’s an outdoor activity and it gets you close to nature. You may enjoy fishing alone or you may go with friends but no matter, you enjoy this sport and you spend money doing so. Do you have a budget for this hobby? Of course you do. You know how much you can spend every week fishing and you plan accordingly. You know how much you can spend on tackle, on rods and reels and maybe even a boat, you take the hobby seriously but at the same time, you know it’s for fun. You will not risk the people you love for fishing. You will pay the light bill first, the rent, groceries and on the list of bills goes, you pay them first. You meet your obligations before you go fishing. The same is true for gambling on sports. You must set a budget. You know the sports that you enjoy gambling on now you must set a weekly budget for those sports. You know how much income you receive on a monthly basis and you know what you spend on bills and living expense. Now you can plan accordingly. You allot yourself so much each week for each sport that you want to gamble on. The important thing is to not go over your budget. This keeps your hobby in hand. Just as with fishing, you don’t stay an extra day at the lake, because it’s not in your budget. Find a top online sportsbook and put your hobby in the right direction. Gambling online instead of with a corner bookie is safer for your budget. You will be more disciplined. Most of all, have fun.